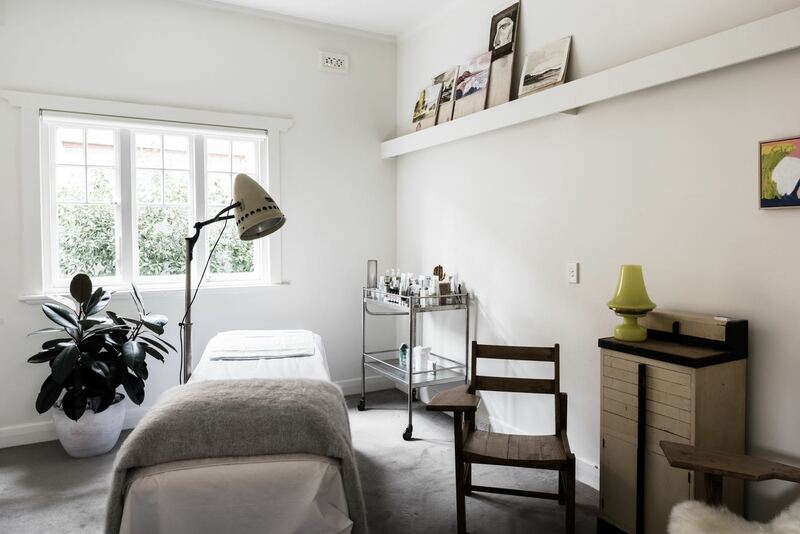 At James Vivian Dermal Therapies, we take home care very seriously. The products you use at home can make a big difference in achieving the skin results you want. We understand that you might have become jaded by the number of failed products you’ve used in the past and we look forward to restoring your faith in effective skincare. We’re so confident in our products that if we can’t turn you into a believer again, we’ll give you your money back! As for the products themselves, we believe that effective skincare products depend on contents, not packaging and words. That’s why we choose our product range based on ingredients rather than brands. We let science tell us what works, then select the most effective products from an array of highly respected skincare brands to ensure you receive the skincare industry’s very best. All of our products are free from animal testing, propylene glycol, sulphates, parabens, mineral oil, petrolatum, formaldehyde-releasing agents, and artificial fragrances and colours. Teen Aspect is specially formulated to keep young skin clean, supple and clear. Offering a simple, fuss-free routine, the range caters for all teen complexions—oily, blemish-prone, normal and dry—and avoids ingredients known to irritate and clog the skin. Teen Aspect is the perfect introduction to a lifetime of beautiful skin for teenagers and pre-teens. Société focuses on delivering results—their line of products and peels uses new technologies and ecological breakthrough ingredients and was built from the ground up by working with actual patients in a live clinical setting. Société products enable the skin to thrive. Ever woken up with a ‘sleep crease’ on your face? While the creases usually go away later the same day, they are an indication of the damage done to your face while sleeping on a cotton pillowcase. Technically, aesthetically and functionally, there is nothing like silk. While man has spent decades trying to copy silk with products like synthetic satin, nothing has ever come close to providing the health benefits of the real thing. Made from mulberry silk with a thickness of 22 momme, Slip silk pillowcases are the very best available anywhere in the world. Skinvigor8’s SilcSkin Décolleté Pads were invented by two-time Emmy Award winning Hollywood makeup artist Camille Calvet. Calvet realised that while there were many products available to combat lines on the face, there was a noticeable gap when it came to chest lines in the décolletage, where wrinkles form as the result of side sleeping, sun damage, ageing and gravity. SkinMedica has dedicated many years of research to creating a lifelong skincare solution for healthier skin. Their entire aesthetic product line is based on the science of the skin’s own healing abilities, designed to counteract the effects of time. SkinMedica products contain scientifically proven restorative ingredients that work below the skin’s surface to regenerate its health. For nearly two decades, PCA SKIN has partnered with physicians to provide a proven process combining aesthetics and science for healthy, beautiful skin that begins at a cellular level. PCA SKIN raises the bar when it comes to innovative skincare. With their passion and commitment to excellence, PCA SKIN continues to exceed expectations. With over 40 years of experience in the skincare research and formulation industry, Medik8 consistently delivers proven results. Using only the highest quality ingredients, Medik8’s formulations are meticulously blended to achieve the optimum concentration of active ingredients to treat clients’ skin concerns. Medik8 uses green chemistry techniques and environmentally friendly packaging to minimise irritation to the planet as well as delicate skin. Products are produced in small batches to ensure freshness, stability and maximum efficacy. Medik8 offers product ranges tailored to all kinds of skins, and is perfect for sensitive complexions. For clients wishing to get the best out of their at-home skincare, Dermaroller helps to drive active ingredients deeper into the top layer of the skin. Delivered by a device similar in appearance to a paint roller, Dermaroller helps enhance penetration of any ingredient by up to 200%. Dermaroller is painless, easy to use and extremely safe. DermaQuest is globally renowned for innovative and superior skincare products. Developed entirely in-house, DermaQuest’s formulations are the result of close collaboration between its chemists, educators, sales teams and clients, guaranteeing solutions that are effective, relevant and affordable. DermaQuest’s specially designed layering sequences deliver products to the skin in just the right order to ensure the best results. Along with its insistence on strict quality control and superior ingredients, it’s easy to see why DermaQuest is a market leader in skincare innovation. Drawing on the same cutting-edge technologies and natural elements as the CosMedix range, CosMedix Elite contains higher concentrations of active ingredients to deliver optimal results while still being gentle on the skin. This powerful range of anti-ageing skincare is designed to complement dermal therapy procedures, minimising post-procedural discomfort and healing times, while keeping inflammation and irritation at bay. CosMedix Elite is available only through professional skincare practitioners. This advanced cosmeceutical line works to enhance the physiology of the skin through the combination of the most purified, chirally correct and effective ingredients. Their cutting-edge formulations boast the highest concentrations of active ingredients currently available to achieve maximum results with minimum discomfort and downtime. Internationally, CosMedix is the choice of dermatologists, physicians and aestheticians seeking enhanced treatment results. Their high performance cosmetics are a marriage of colour and science, featuring good for you ingredients such as peptides, antioxidants, vitamins, zinc oxide and titanium dioxide. Created to help you achieve a flawless, even complexion, they even protect you from the damaging effects of the sun with SPF 20, 30 and 50 ratings. Aspect Dr cosmeceuticals are formulated using the very best clinically substantiated active ingredients, sourced from the world’s most respected pharmaceutical and biotechnology companies. Aspect Dr’s serum system ensures that homecare prescriptions are straightforward, cost effective and efficient.